The durable energy source for you Mio Spirit V505 TV navigation device! 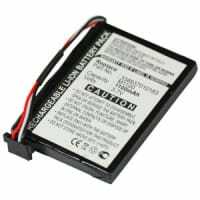 This battery for Mio Spirit V505 TV,Mio Spirit V735 TV und other models by subtel will not let you down - whether in everyday life, in outdoor environments or navigation in unknown terrain. Its long battery runtime guarantees maximum independence. Even without power supply. The replacement battery for subtel - Highest quality for a fair price.